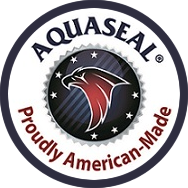 AQUASEAL cleaners, conditioners and waterproofers are bona-fide leather care products. They do what they say they do very well, and have been doing so for over 35 years. We guarantee your satisfaction. In the unlikely event you aren’t 100% satisfied after using an AQUASEAL product, we’ll send you a refund. Simply, if you’ve put in an honest effort using an AQUASEAL product as directed – and you’re not satisfied with the results – we will refund your money. Within 90 days of your purchase, return the unused portion with the matching original receipt from the AQUASEAL retailer. Your refund will be for the amount on the receipt.